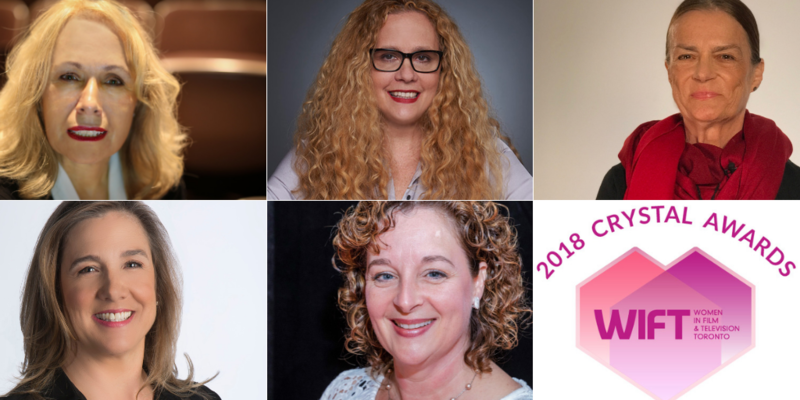 Women in Film & Television – Toronto (WIFT-T) is pleased to announce the five outstanding women to be honoured at its 31st annual Crystal Awards Gala. The Crystal Awards, established in 1988, is WIFT-T’s annual tribute to women who have made significant contributions to Canada’s screen-based media industry, as well as the men who champion them. Since its inception, over 140 industry trailblazers have been recognized for their excellence in creativity, innovation, and leadership. This year’s honourees are: Grace Carnale-Davis, Vice President of Sales and Client Service at Technicolor; Deborah Day, Chief Executive Officer and Chief Strategist at Innovate By Day; Zoe Dirse, csc, Director of Photography; Edwina Follows, General Manager of Discovery Networks; and Karen Thorne-Stone, President and Chief Executive Officer at Ontario Creates. The Crystal Awards jury is comprised of past Crystal Award winners. Our thanks to the 2018 jury: literary, film, and talent agent Lesley Harrison, Founder and President of Harrison Artist Management; Lisa Olfman, Chief Executive Officer & Co-Founder, Portfolio Entertainment Inc.; and Andra Sheffer, Chief Executive Officer, Independent Production Fund. 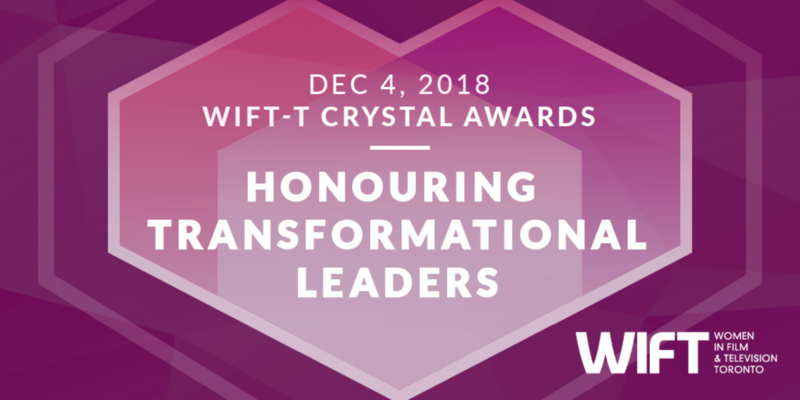 WIFT-T thanks the following 2018 Crystal Awards’ partners and sponsors for their support: Presenting Partners, NBCUniversal and Deluxe Toronto; Reception Sponsor, Entertainment One; and Supporting Partner, Super Channel. With 30+ years of experience in Canadian television and film, Edwina Follows —who first appeared in front of the camera as a child actor on both CBC and CTV—has a lifelong passion for creating and producing fascinating and memorable content. At Discovery Networks, Edwina oversees an annual slate of 180 hours of original programming, including many of the network’s most-watched series and specials: Canada’s Worst Driver, Frontier, Heavy Rescue: 401, and Highway Thru Hell. Responsible for creating, developing, commissioning, and producing dynamic independent programming, Edwina has worked closely with Netflix, Discovery U.S., Smithsonian Networks, AETN, BBC, and National Geographic. 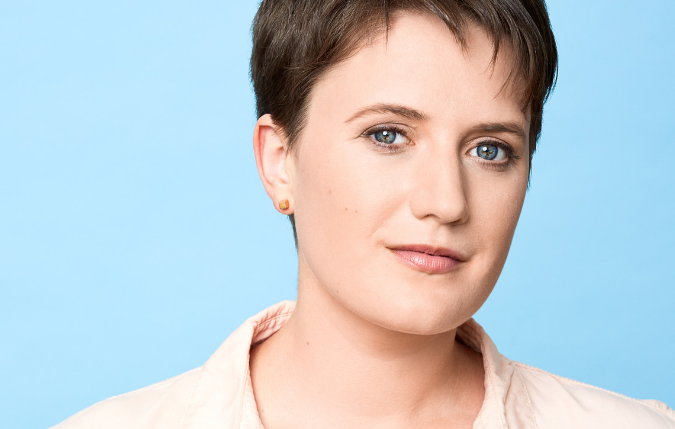 Her team-focused management style and storytelling chops have significantly contributed to the rise in demand for Canadian stories and productions both on Discovery and worldwide. Prior to joining Discovery, Edwina also enjoyed a successful career as an award-winning screenwriter for Canadian and U.S. television productions including: Beast Master, Brace Face, Emily of New Moon, Pit Pony, Relic Hunter, and Traders. An award-winning and trailblazing cinematographer, Zoe Dirse has been a powerful role model and mentor for several generations of filmmakers. When Zoe began her career in 1979, she was one of only two female camera assistants in IATSE 644. During her time at the National Film Board of Canada (NFB) from 1982 to 1997, Zoe worked on over 70 documentary and drama projects, including a number of groundbreaking features produced by Studio D— Wisecracks (1992); Forbidden Love: the Unabashed Stories of Lesbian Lives (1992); and Jane Rule: Fiction and Other Truths (1996). Over the past four decades, Zoe has been a cinematographer of choice and a respected mentor for many female directors at the beginning of their careers. Eylem Kaftan, Lynne Fernie, Gail Singer, and Brenda Longfellow, among many others, attest to Zoe’s generous, collaborative spirit, her willingness and patience in sharing her insights and in firmly but kindly offering first-time directors strategic feedback based on her many years of experience. 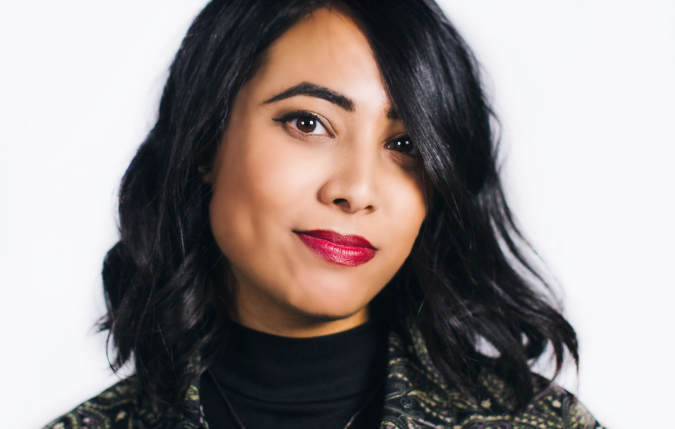 Since 2000, Zoe has also helped mentor, inspire, and shape the careers of emerging filmmakers teaching cinematography at Sheridan College, where she focuses her energy on mentoring her female students and creating a classroom culture where diversity is appreciated and women’s voices are heard. Throughout her 29-year career in the entertainment industry, Grace Carnale-Davis has brought passion and dedication to her work; supporting producers, directors, and cinematographers through the post-production process. Grace began her career in the mail room at Kodak Canada, where she worked during the day while obtaining a business degree at Ryerson University at night. At Kodak, Grace worked with various business divisions managing portfolios, overseeing accounts, maximizing cash flow, and setting up contacts. After 18 years at Kodak, Grace accepted a position as a sales representative at Medallion·PFA—a post-production facility providing laboratory, and video and audio services. 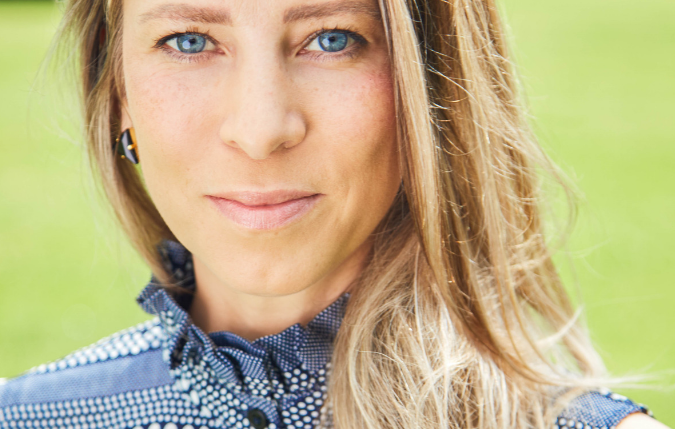 In 2008, after Medallion·PFA was purchased by Technicolor, Grace was promoted to Director of Sales at Technicolor, and in 2013 to Vice President of Sales and Client Service. At Technicolor and throughout her career, her clients-first approach is visible on the screen every day, where she has championed some of the best projects Canada has to offer: Book of Negroes, Flashpoint, Heartland, Murdoch Mysteries, Orphan Black, Pillars of the Earth, Rookie Blue, and Saving Hope. An award-winning producer and director, Deborah (Deb) Day recognized a real need for producers to develop digital and social media campaigns to support their projects. To address this need, she founded Innovate By Day in 2010—a strategic marketing and digital content studio that specializes in the film, television, and digital industry. In eight years, the company has grown to over 20 full-time employees. Under Deb’s leadership, Innovate By Day has built a reputation for being goal-oriented, audience-centric, and always looking to surpass expectations. Notable campaigns include: Call Me Fitz, Cracked, InSecurity, Mohawk Girls, Remedy, Rookie Blue, and Saving Hope. Deb’s natural storytelling ability, deep knowledge of the transmedia landscape in Canada, and business acumen have been valuable to the success of these series and Innovate By Day. Karen Thorne-Stone has been President and Chief Executive Officer of Ontario Creates since July 2007, overseeing all aspects of the agency’s programs and services which serve as a catalyst for economic development in Ontario’s creative industries. In this role, Karen is responsible for igniting growth, investment, innovation, and collaboration in the province’s film and television, interactive digital media, music, magazine and book publishing sectors. In addition to leading strategy and engagement, Karen recently completed the agency’s re-branding from the Ontario Media Development Corporation to the more modern, compelling and inclusive Ontario Creates. Previously, Karen worked with the City of Toronto for over 18 years, where she served in a variety of roles, including Film Commissioner and Executive Director of Economic Development. In those roles, Karen supported successful negotiation for a new state-of-the-art film studio complex on Toronto’s waterfront, developed an innovative economic development strategy for the screen-based sectors and worked to promote and elevate the City’s film and television production industry. The 31st Annual Crystal Awards Gala will take place on December 4, 2018 at Arcadian Court, 401 Bay Street, Toronto, Ontario. Tickets are on sale as of October 24, 2018. ‍For media inquiries, please contact: Kadon Douglas, Communications & Engagement Manager, WIFT-T at 416-322-3430 ext. 226 or email kdouglas@wift.com.